Why contracting out an exclusive order? If you determine to commit your property to us, then you ask yourself, how the contractual collaboration is regulated. The advantages of our generally exclusive order is apparent.. The contractual duration add up to just three till six months. It will be extended for one month, if the contract is not terminate four weeks before the duration is expired. You, as a proprietor, can and may your property provide and sell on private furthermore. For a reasonable period you know your property is in good hands. In a every fourteen days rhythm, we detect our activities. Then you can decide easily, if you will resume or terminate the collaboration with us. You stay flexible. If you engage different real-estate agents, you must assume the coordination and the control on yourself. Who you commit your keys? Who you allow to practise advertising? Too many signposts blemish the appearance of your property. This and different bid terms (information, bid price, commission) can damage your property´s reputation.. The exclusive order commits us to invest working time and distribution costs. 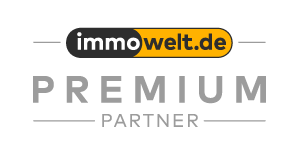 KP-International Immobilien assumes the risk of marketing. Your property could be just selled focused, if it will just provided by one real-estate agent. The most people think, that more real-estate agents could expedite the selling. But it might be the opposite. Mostly the multiple advertise of a property damages the market price. A real-estate agent, who may provide your property, does not owe you performance. A real-estate agent, who signs the exclusive order with you, incurs extensive liabilities. (s.a. "Why real-estate agent? ").